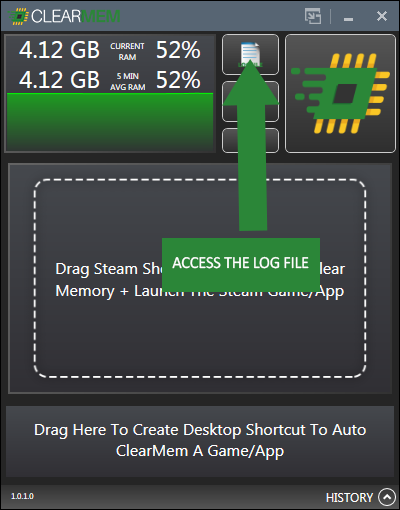 ClearMem – Free Up Your RAM! 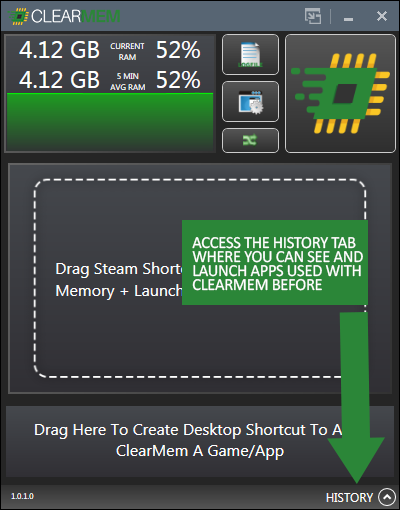 – ClearMem – Free Up Your RAM! 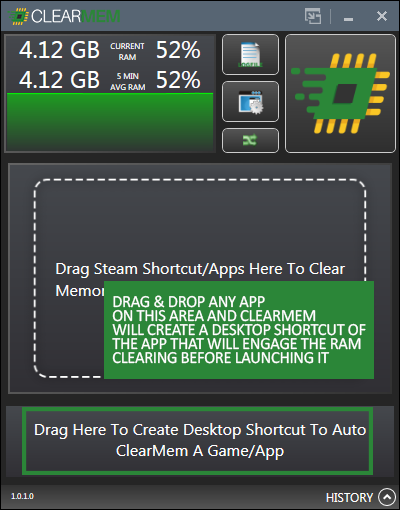 ClearMem was created to do 1 thing: Clear out RAM that is being wasted by your OS + unoptimized programs. 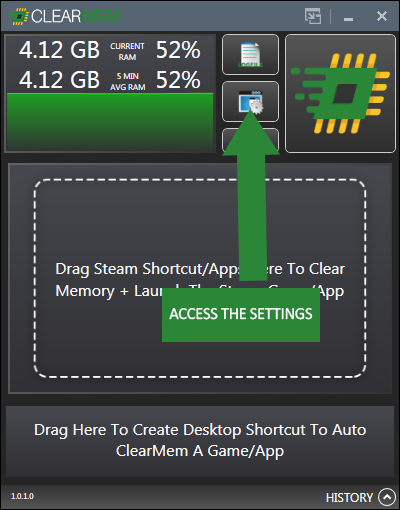 Have you ever wondered why your PC’s RAM usage is often extremely high, despite not actively using any intensive application or games? Are your browsers using all your available RAM? 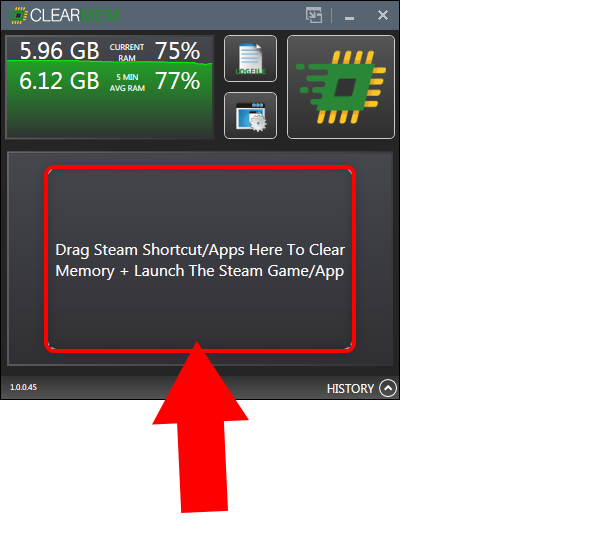 Have you ever had Windows give you the dreaded “Out of memory” error? 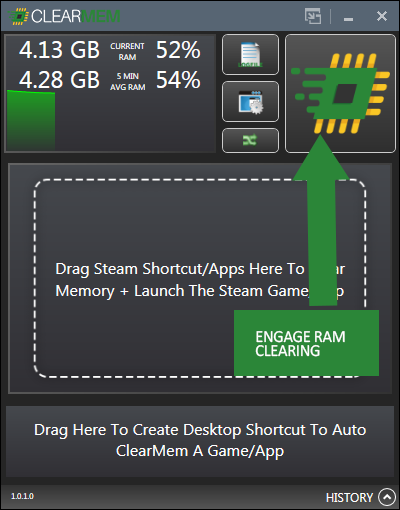 ClearMem allows you to regain control of your RAM and let your game use as much RAM as needed! RAM is the physical component that stores game graphics, variables, sounds, and overall content. 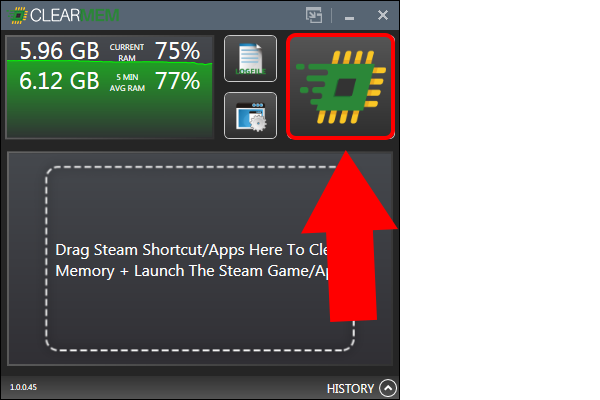 When you launch a game on your PC, the game can run faster when more components of the game are loaded into your RAM. 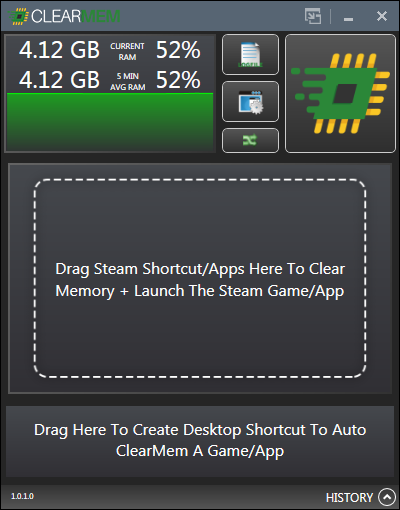 RAM is the preferred place to hold working game content (graphics, files, etc) because RAM is considerably faster than HDD/SSD. 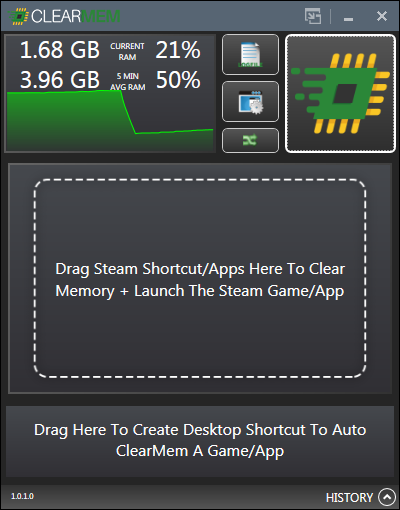 In short, more free RAM = more resources for your games. What is non-critical to your OS? What is critical to your OS? ClearMem then sends specialized commands to your non-critical processes (list a) that effectively tells the processes to “Release your physical memory used NOW”. This causes these processes to release their physical working-set memory used, commit certain amounts of data to your page-file, and considerably frees up your available RAM. In addition, ClearMem understands what processes are critical to your Windows OS remaining stable (list b). ClearMem will bypass those processes, enabling them to continue to operate normally. This is critical to enabling your OS to continue to run smoothly without any OS slowdowns. The end result is more free RAM! This sotware is pretty good overall, it’s worked as intended freed up some memory space. Works flawlessly with cpu-cores, open the ClearMem first after that launch Cpu-Cores and added to whitelist for optimal use. Well CM definitely has powerful kung-fu over PS! Recently, I’ve been working on a poster-sized graphic that runs around 5-10 GB depending on layers. I have 16 GM RAM, so I never had any issues with overhead. Going from the larger file size to the smaller size tended to leave about 1 GB of ram allocated but not being used by PS. CM freed that up in a hurry. I can happily say that i haven’t run into any problems with software so far. I am getting usually that 2gb free while games running after some usage. Overall, this is giving me another boost in CPU limited games, not as big as CPU cores, but good enough to be worth it to me. 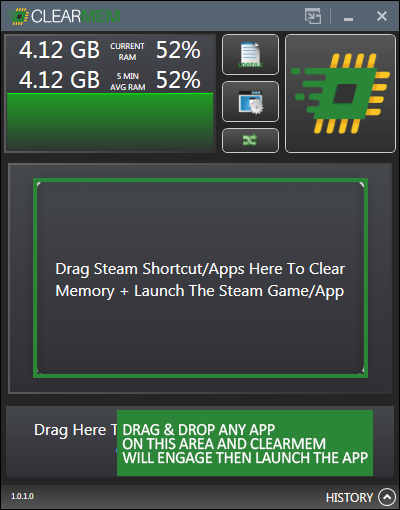 Even though Paladins, for example, doesn’t use much RAM for me, maybe 2gb, overall RAM usage, from Windows and Paladins combined, goes down from 4gb to 3.5gb.